Stanley Keasling began his community development experience as a VISTA Volunteer with Self-Help Enterprises (SHE) in 1973. At SHE, Mr. Keasling worked with the self-help, multifamily and public facility programs. He helped establish the community development program which then formed Rural Community Assistance Corporation (RCAC) in 1978. Mr. Keasling served as RCAC’s division director for community development programs from its inception in 1978 to 1982. He returned to SHE in 1982 as a program director where he supervised self-help housing and community development programs. 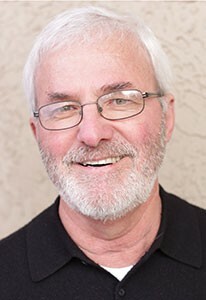 Mr. Keasling became executive director of Rural California Housing Corporation (RCHC) in 1986, initiated the RCHC merger with Mercy Housing in 2000 and remained with Mercy Housing as vice president and senior vice president until July, 2006. Mr. Keasling worked as a private consultant for a short while prior to taking the helm at RCAC. David Ebenezer began his career at RCAC as an intern in 1986 while he was a student at California State University Sacramento (CSUS). He then worked as an auditor at Izabal, Bernaciak & Co., CPAs conducting independent audit examinations of nonprofit organizations across California. Later as the accounting manager for The John Stewart Company (a property management firm), he managed the accounting operations of the firm’s northern California properties. 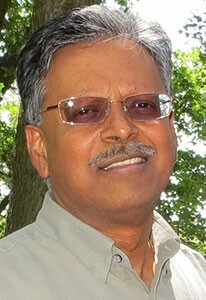 Mr. Ebenezer returned to RCAC in 1998 and has spent a total of 27 years with the organization in various finance roles. As controller, he managed RCAC’s finance, grants and contracts department, presiding over a $16 million operating budget. Since 2015, David has served as RCAC’s CFO. He is responsible for the financial operations of the organization including oversight of finance, grants, contracts and Information Technology. He has more than 30 years of experience in financial and organizational management, nonprofit accounting, financial reporting and governmental regulations for such organizations. 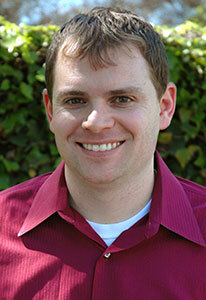 He holds a bachelor’s degree in business administration with a concentration in accounting from CSUS. 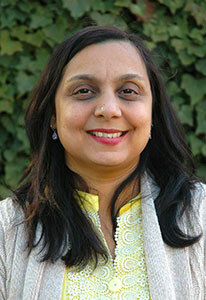 Anjali Sheth joined RCAC in 2018. She prepares and revises the corporate budget and reports, coordinates treasury functions, and supports the Chief Financial Officer with grant and contract management. Ms. Sheth also manages RCAC’s investment portfolio, reviews financial contract and grant requirements, and oversees the Finance Department’s tasks, products, staff and resources. In addition, she coordinates corporate and funder audits, and participates in the review of network agencies’ fiscal systems. Prior to joining RCAC, she was an accounting manager for a mobile homes property management company in the Sacramento area and she was a controller for a hospitality company in Roseville, California. Ms. Sheth is a Certified Public Accountant and Cost and Works Accountant, Licensed Real Estate Broker and Mortgage Loan Originator, a California Notary Public, and she holds a bachelor’s degree in accounting from India. David Ferrier spent 35 years at Community Housing Improvement Program (CHIP), 25 of them as CEO. During that time, CHIP built more than 1,700 self-help homes in a seven-county area covering the Northern Sacramento Valley. More than 400 of those homes used an “urban self-help” model incorporating commercial construction financing and bond-funded mortgages. He also led the effort to build more than 700 affordable rental units, which prompted CHIP to create a property management division to self-manage and manage for other nonprofit organizations. During Mr. Ferrier’s tenure at CHIP, the organization became a HUD-certified housing and credit counseling agency, operating that program for 17 years up until 2014. He also led the effort to secure nearly $500 million in grants, loans and equity contributions from public and private sources. Mr. Ferrier holds a bachelor’s degree in information and communication studies from the California State University at Chico. Juanita Hallstrom joined RCAC in 2000 and became Loan Fund director in 2017. She oversees loan originations; manages RCAC’s lending program, activities and staff; develops new lending and other financing products and programs; serves as the chief executive officer’s liaison to the board’s Loan Committee; coordinates and communicates with individual clients or networks of clients and funding sources; participates in strategic planning, program development and marketing of RCAC programs, products and services; and assists in establishing major economic objectives and policies for RCAC. In her previous role at RCAC as assistant director of Lending and Housing, Ms. Hallstrom was responsible for the supervision and oversight of the loan administration staff. Her duties included loan closing, loan servicing, investor reporting, cash flow management and the maintenance of RCAC’s Loan Fund systems. She was also responsible for the implementation of several new programs, including RCAC’s 502 Pilot Packaging Program. Prior to joining RCAC, Ms. Hallstrom was the closing manager for a local bank and the operations manager for a large mortgage company. 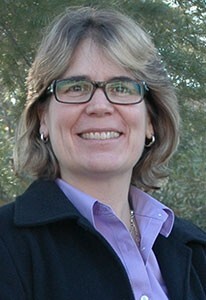 Julia Helmreich joined RCAC in 1998. She assists the chief executive officer plan, develop and secure grants and contracts for the corporation. Ms. Helmreich directs all fundraising and development activities for corporate programs; tracks and reports development and fundraising activities to the RCAC directors and board; oversees marketing and public relations activities for the corporation; and assists with strategic planning. Previously, she was manager, program developer and a public affairs specialist in RCAC’s Corporate Development Department. Before joining RCAC, she was an editor for the California Department of Corrections and an information officer for the Governor’s Office of Emergency Services. She also has worked as a reporter and photographer for several newspapers and as an industrial photographer in the Bay Area. Ms. Helmreich holds a bachelor’s degree in journalism and a minor in English from the California State University, Sacramento. 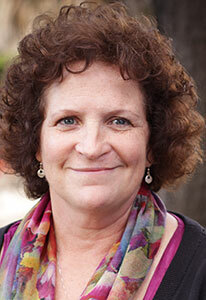 Ari Neumann became director of Community and Environmental Services in November 2018 after serving as assistant director since 2016. As assistant director he oversaw RCAC’s environmental work in California. 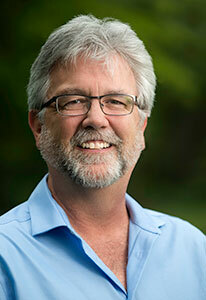 He grew up in Genesee, a rural town in Idaho and has extensive experience in rural small systems utilities. Before joining RCAC, he held a director level position at the national Rural Community Assistance Partnership (RCAP) in Washington DC. RCAC is RCAP’s western affiliate. He applied for and oversaw implementation of approximately $8 million dollars in federal grants to fund RCAP programs nationwide. His experience also includes environmental advocacy, including drafting legislation that was signed into law in the Agricultural Act of 2014. He holds a Juris Doctor degree from the University of Washington School of Law; admitted to Washington, DC Bar, and a bachelor’s degree in American studies with a concentration in environmental policy from Stanford University, Palo Alto, California. 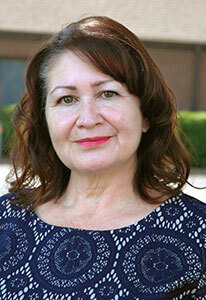 Diana Varcados has been with RCAC since 1998. She manages RCAC’s Information Technology (IT) Department where she is responsible for the oversight of RCAC’s IT systems and procedures. Ms. Varcados has experience with business systems analysis, project management and software implementation, and has designed and implemented numerous internal processes and systems at RCAC. She holds a master’s degree in business administration from CSU, Sacramento State and a bachelor’s degree in psychology from the University of California, Davis.